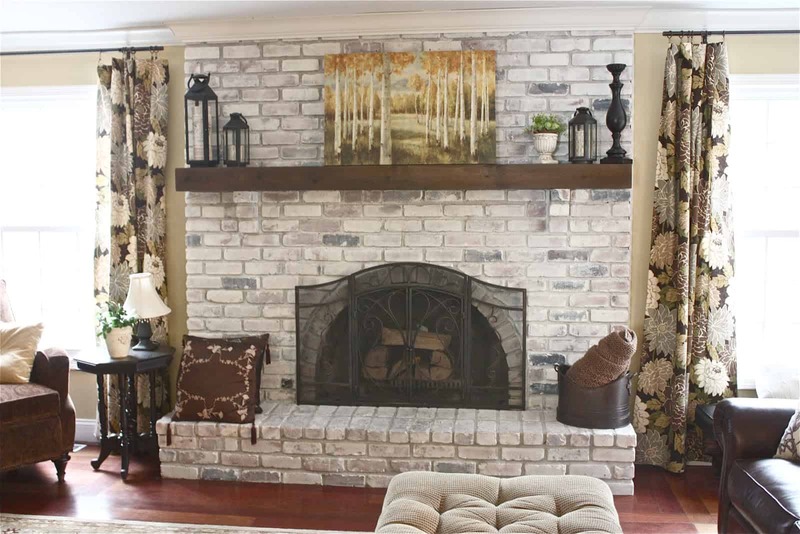 A brick fireplace is one of those items in a home that is highly coveted. There is just something warm, cozy and intimate about it. 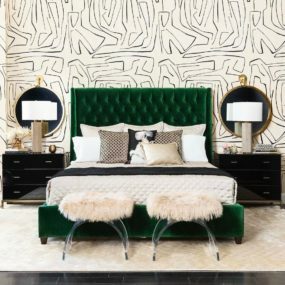 However, if the one that is currently in your abode does not reflect your personal décor taste, then it can feel more like a drag instead of an architectural feature. Thankfully, there’re some things you can do to completely change the appearance of your brick fireplace. 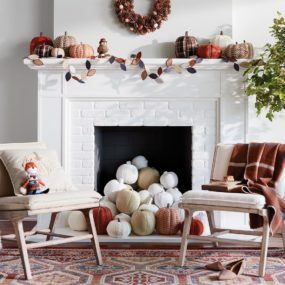 Here are a few things you can do to refresh your fireplace. 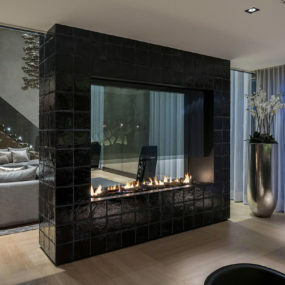 When we think of a fireplace the very first thought maybe a fireplace in the living room. However, many times there are brick fireplaces in the master bedroom. If so they can make huge statement pieces. 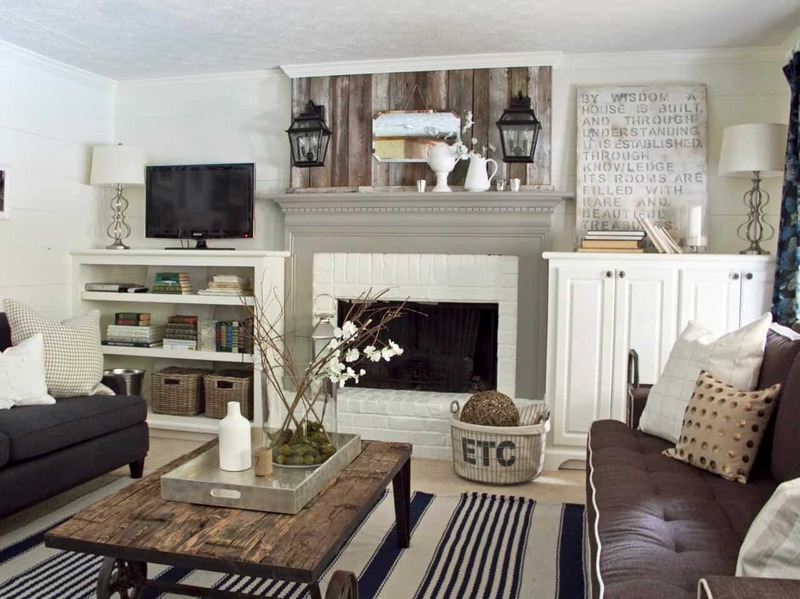 The key is adding rustic touches to the room to bring it all together. Do not be afraid of exposed brick, it can actually be a blessing in disguise. Embrace the uniqueness of an exposed brick fireplace and pair it with bold, bright hues for the perfect contrast between the two. It looks stunning against shades of blue or even hues of pink. Adding a German spear adds a vintage appeal to the room. There is something classic yet beautiful and intriguing about a brick fireplace that has an antique feel to it. The key is making it the staple of the home, and working around it when it comes to decor. 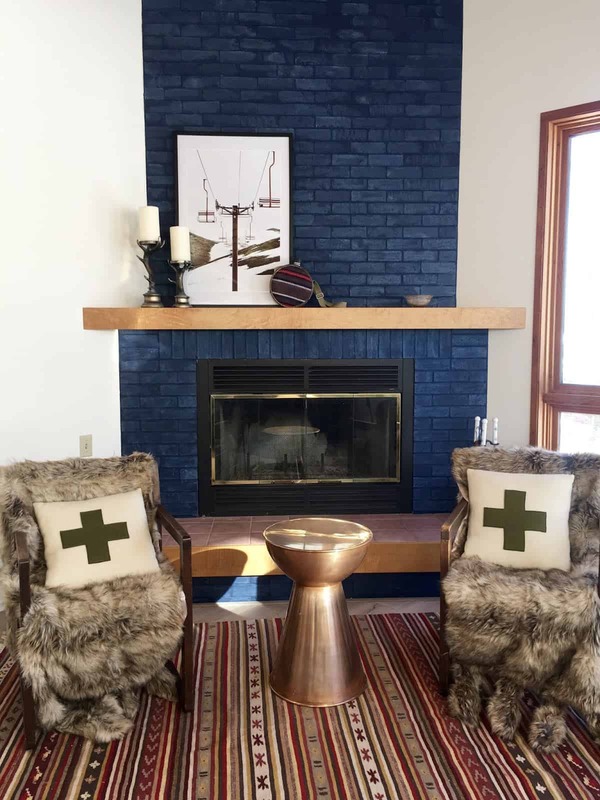 If you are a fan of the appeal of rustic, distressed brick fireplaces generally found in old German homes, then adding a German smear treatment to your fireplace may be exactly what you need. A German smear treatment is a faux antiquing technique that adds an old-world charm to brick items. There is something very personal about having a well-decorated mantel. Its a space that allows you to place personal items as well as small trinkets that mean something to you and your family. Take the mantel decor a step further by decorating the wall above it as well. 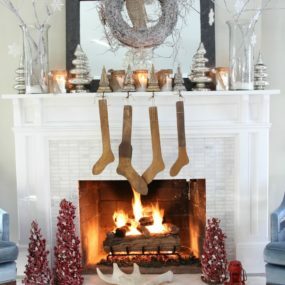 Instead of changing your entire brick fireplace, consider refreshing it with a new mantel. 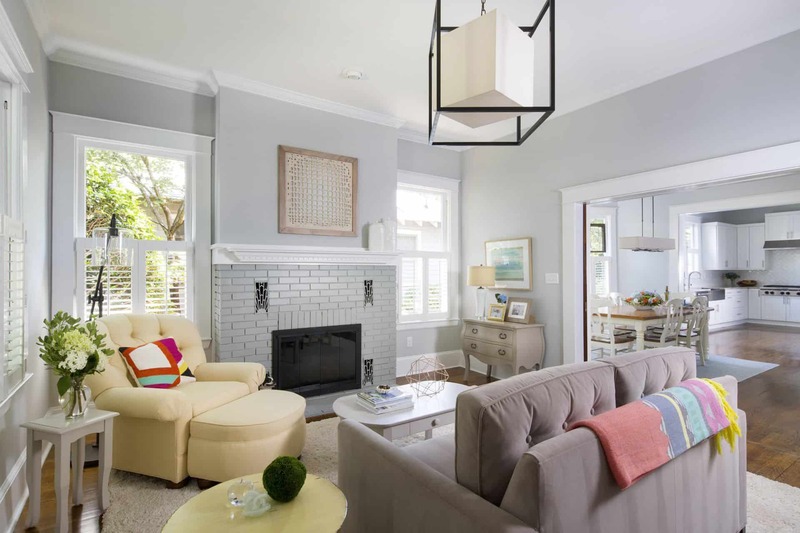 You don’t have to paint the entire fireplace space one hue instead paint your mantel a bright, bold color and leave the brick fireplace exposed. 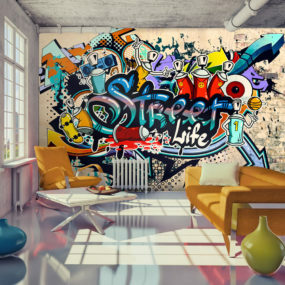 Doing so will bring add a new contemporary feel to the room. 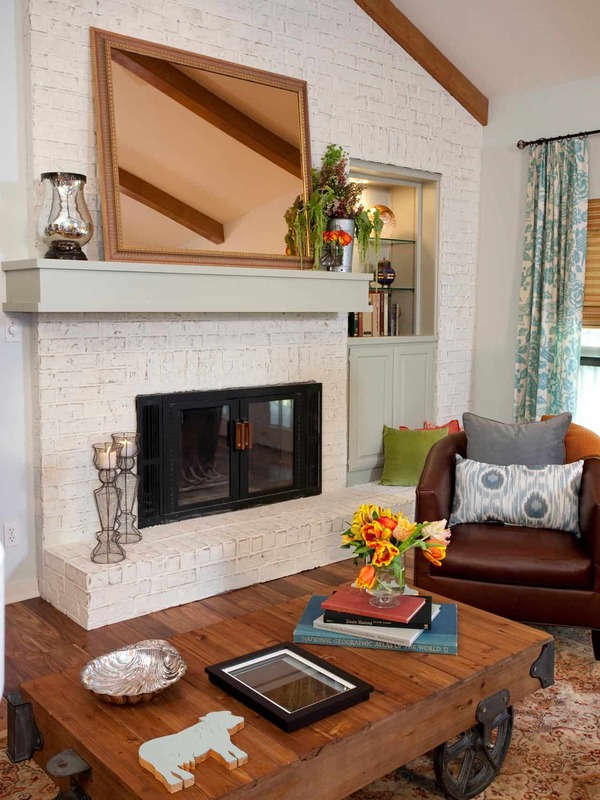 A brick fireplace doesn’t always have to be rustic or conventional, it can actually be modern and trendy. 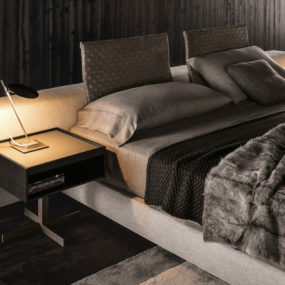 The key is working with dark hues, the boldness of the dark hues will make the room feel intricate and unique. Pair it with modern decor for an unconventional appeal. Taking a brick feature such as your fireplace and painting it black can give you the perfect touch of bold your living room may need. It adds a Victorian show-stopping feature. Pair it with neutrals or even other bold décor items, so that it flows well. The great part of the color gray is that it comes in multiple different shade range. Use a darker shade of gray to add drama to the room or a lighter shade to make the room appear larger. The key is working with colors that add to the room not take away from it. 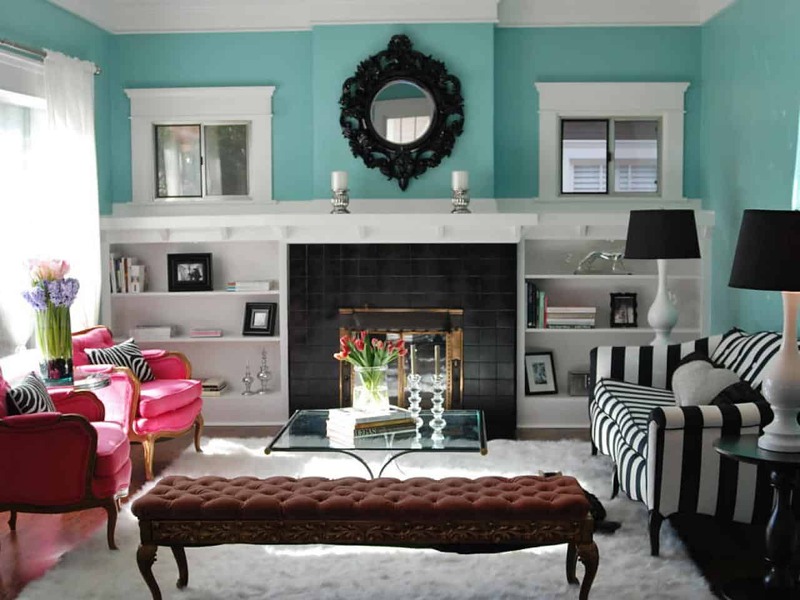 Just like painting your fireplace black will make a bold impact painting your fireplace gray will too. The difference between the two hues is that a subtle shade of gray will make a bold impact in a subdued kind of way. Gray is such a versatile shade that it will pair well with numerous different hues including bold and pastel shades. You do not have to paint the interior of your brick fireplace a different color than the rest of your fireplace, you can paint it the same color instead. 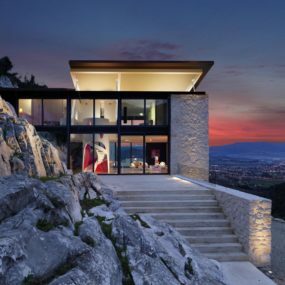 The idea is to create a modern touch in a room in an easy manner. Keep the decor fresh and clean for the best layout and feel. 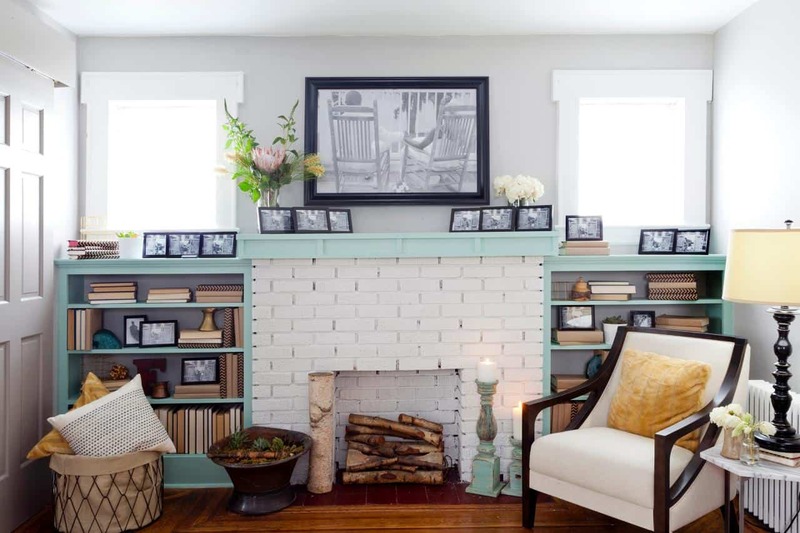 Brick fireplaces are notorious for being vintage and beautiful. However, if you want to add a modern touch to the décor consider painting the inside of your fireplace a cool tone hue for a contrast that stands from the rest. The key is working with shades that blend well with the colors you already have as part of your décor. Its bold, its dark, it adds drama and so much more. That is exactly what you want from a fireplace. Paint your fireplace a bold hue such as navy for that moment of richness that expands throughout your decor. Pair it with eclectic pieces for the best outcome. If you prefer to have a light and bright space but want to add that second layer of drama to your living room the key is darkening your fireplace. Choose a dark color that is bold and in charge, this will add a modern yet fun vibe to the space without taking away from your current décor. Having a seamless space with a brick fireplace is not the easiest thing to do. However. using the right paint and decor will help you blend the space perfectly. The key is working with furniture and paint hues that will bring it all together and make the space feel cozy and modern. 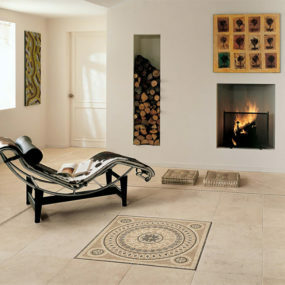 Whether it is located in the living room or in the bedroom the fireplace seems to always become the main element. Consider making it one of the many elements in the space by simply making it work well with everything that is already adorned in the room. Why have one painting above your fireplace when you can have two? The key is working with paintings that add color or dimension to the space without taking away from the room. Choose a like-minded painting options for the greatest outcome. Paintings are excellent ways to fresh a brick fireplace because they add a second layer of intricacy and focal point. Use a large painting that is bold and colorful. This will draw the attention directly to the fireplace and the space it is in. It is also an excellent form of bringing different kinds of decorating styles together. If you want to add a little something extra to your brick fireplace, it may be a great idea to add fireplace doors. A fireplace door works great because it gives the fireplace an upgrade while still being easy to install and remove. 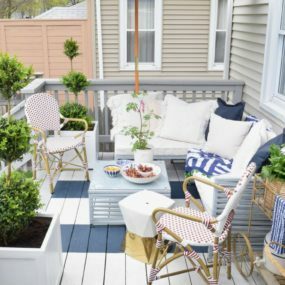 The idea is to make the space appear put together while still being a fresh new look. Your brick fireplace deserves a bit of an upgrade which of these are you most excited about trying? Please let us know in the comments below.